Facebook is the largest social media network with over 1.5 billion active users. There is a good chance all of your friends will be on Facebook, or at least most of them. That said, you will also be using the official Facebook Messenger app to chat with your friends on your smartphone. There are over 900 millions users of the Facebook Messenger, so it is only sane to join to ride. Although Facebook Messenger app offers everything you need for chatting with your friends, yet what if you want even more from it? Well, this is where dedicated apps for messenger will help you. There are many apps for Facebook messenger available for Android and iOS that will work flawlessly with it to spice up your chats. From GIFs to emojis and voice changers to text singing, there is an app to make things as much enjoyable. In today’s post, we will list down five apps for messenger, that you can download to make your Facebook Messenger chat out of this world. 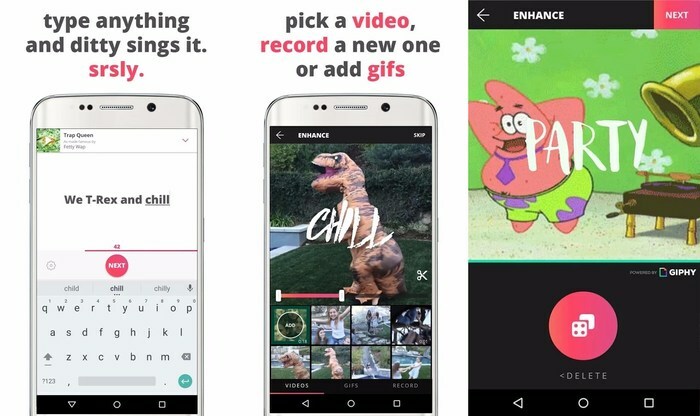 As the name sounds, GIPHY is all about sending GIFs to your friends quickly. It has one of the biggest libraries of GIFs where you can find a GIF of almost every type. 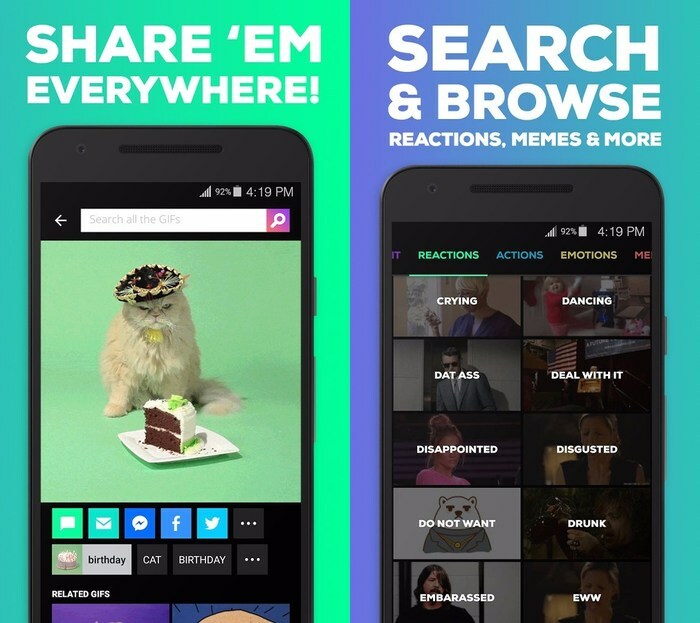 GIPHY works seamlessly with all popular social networks, including Facebook. It enables you to separately store all the GIFs that you often use to use them when needed easily. Apart from regular GIFs, it also has a vast collection of animated sticker GIFs. If you are tired of emojis and stickers, then these animated sticker GIFs will surely make you wow. Although, you will have first to find the GIF on GIPHY and then send it to Messenger or Facebook to send it from there to your friends. Ditty is a fascinating app for Messenger that will completely change the way you chat. It turns your standard text into a music video where the app for Facebook messenger will sing the written text with a familiar tune playing in the back. It adds a great way to entertain your friends and turn boring text into something to laugh about. The tunes used are from most of the famous songs and new tunes are added every week. However, you will have to buy new tunes using in-app purchases. 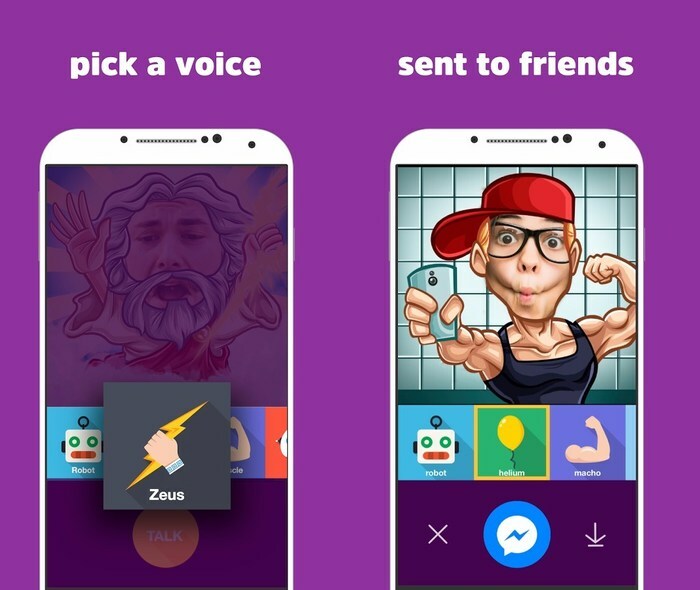 FlipLip Voice Changer lets you send short voice messages and changes your voice in the process. You can send hilarious voice messages to your friends and make them go crazy. All you have to do is record a message and choose the voice type that you would like to use, such as the robot, pirate, princess, high-pitched, Macho and dozens more. You can also save the created voice messages (flips) to use them later when needed. 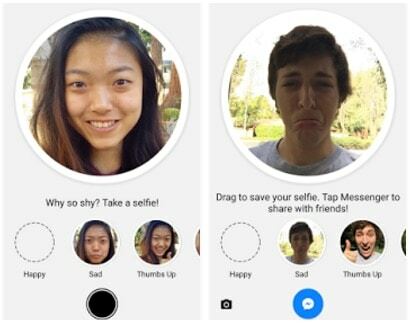 Selfied is yet another app for Messenger. Created by Facebook, the purpose of the app is simple, instead of sending stickers to your friends, send a selfie making the sticker face. If you want to wink at them there is no need to find a good sticker that is winking, selfied will let you quickly take a selfie and send it right inside the chat. You can also save sticker selfies to forward anytime you like. So you are a GIF maniac? Well, why don’t you turn your text into GIF as well? The Ultratext app for Messenger will let you turn the text of your chat into GIFs with different styles, fonts, and colors. The whole text will be randomly colored, and you can choose GIF style and font type to spice it up further. You also have the option to take full control and decide each and every bit of the detail of your text GIF. The only problem that you may face is the limitation of the free app. You are only given few styles and fonts to start with, and you will have to buy rest of the styles using in-app purchases. If you are a Facebook Messenger user, then you should check out apps for Messenger created to work with it. 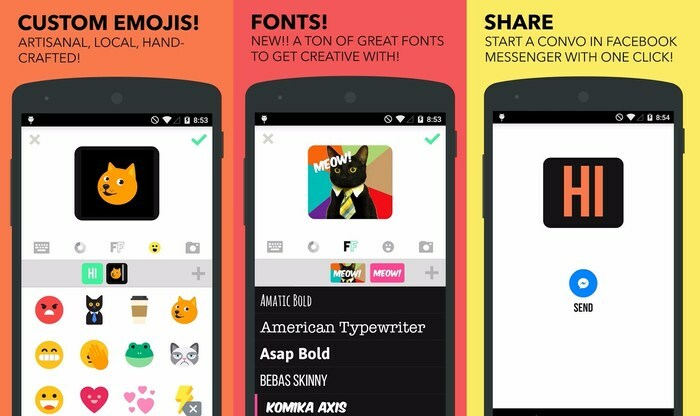 All the above apps for Messenger will add magic to your chat and standout from the crowd. All of the above apps for Messenger are free, but they do come with the in-app purchase to open better content. You should give Ditty a try as it is free and lets you create a complete music video from your messages. Although FlipLip is a good option as well, if you are into voice messages. Did we miss any good Facebook Messenger app? Let us know in the comments below. Previous: Insert Pictures into Excel Cell – How to Add Picture into Excel Cell?